There are those who chase the sun, and those who chase the snow – if being surrounded by mountains, snow and après-ski chalets is your idea of a good time, then have we got a treat for you. We’ve discovered the top luxury ski locations and lodges around the world, at any time of year, so dig out your ski gear, put on that beanie and get ready to hit the slopes. 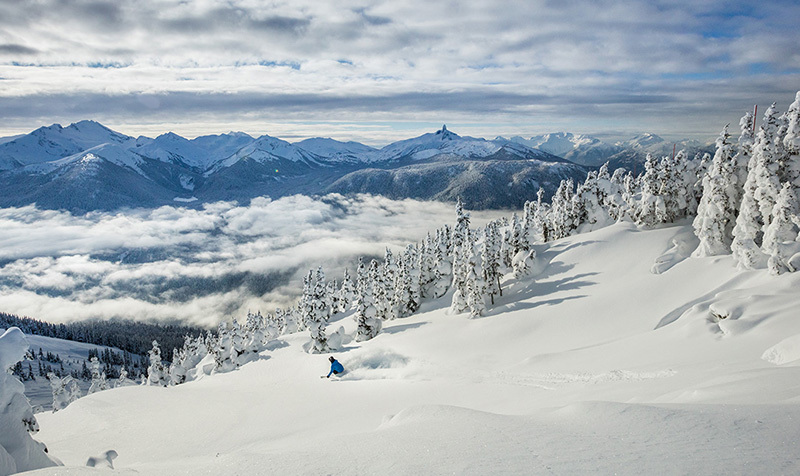 It’s easy to understand why Whistler is a favourite amongst skiers, with its epic yearly snowfall, over 200 pistes and of course Whistler Blackcomb, the largest ski resort in North America. For movement between Whistler and Whistler Blackcomb, you can jump on a gondola and travel peak to peak. Almost unreal in its beauty is Cortina d’Ampezzo in Italy. Located in The Dolomites, this gorgeous ski field has long known to turn on the charm. Not only are the ski fields wonderful and the views picturesque, but the township nearby is sure to take your breath away. On the northern Japanese Island of Hokkaido is Niseko, whose almost overwhelming amount of snow is waiting for you to carve it up. 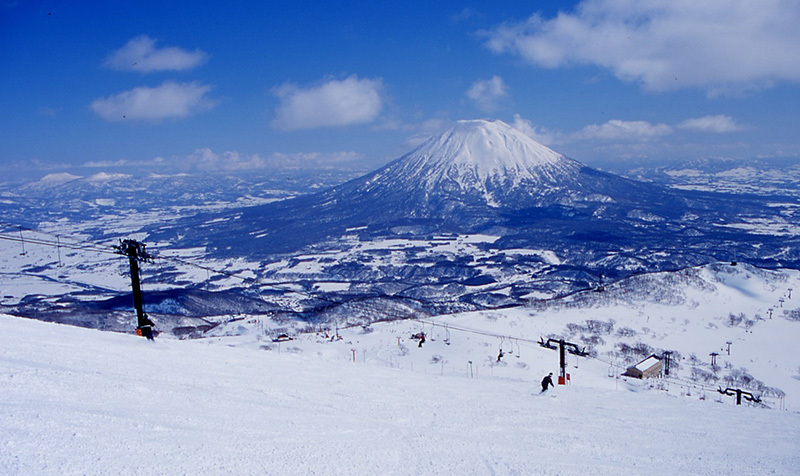 Niseko is known as one of Japan’s premier ski resorts, but it’s actually one of four premier ski resorts that are collectively known as Niseko United. In this area, you’ll have access to world-class tree runs, pipes and parks as well as some epic backcountry ski zones outside the nine entrance gates. For snowy mountains that stick around, look no further than The Cascade and Stevens Pass in the United States. Averaging 110 inches in March and April alone, Stevens Pass has mid-season skiing written all over it. There are ten lifts which cover a massive 1,125 acres of terrain. You can tackle up to 37 runs and get involved in some thrilling tree-skiing sessions. 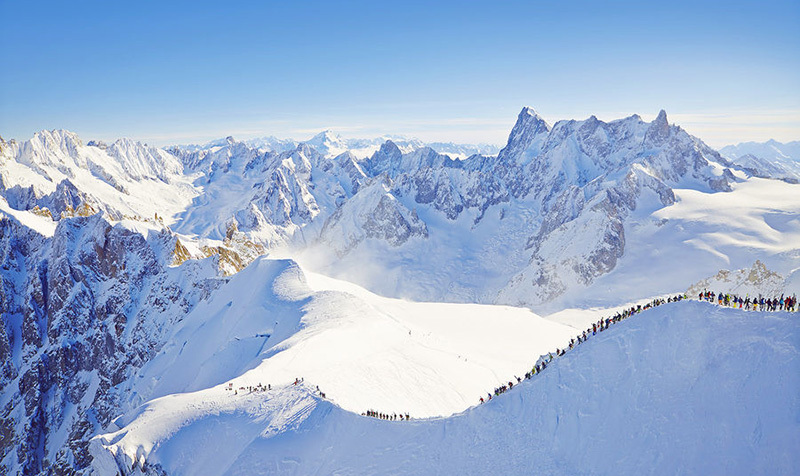 Western Europe’s highest peak, Mont Blanc, offers skiing all year round. However, it’s no easy feat to reach. With that in mind, the nearby Vallée Blanche, just north east of Mont Blanc, offers some of the most spectacular runs in the region. Heading up the Aiguille du Midi in a cable car, you’re then free to fly back down the mountain (not too quickly… remember to enjoy the views) to Chamonix’s town centre. Keep in mind that the route is unmarked and unmaintained, so hiring a guide is a good idea. 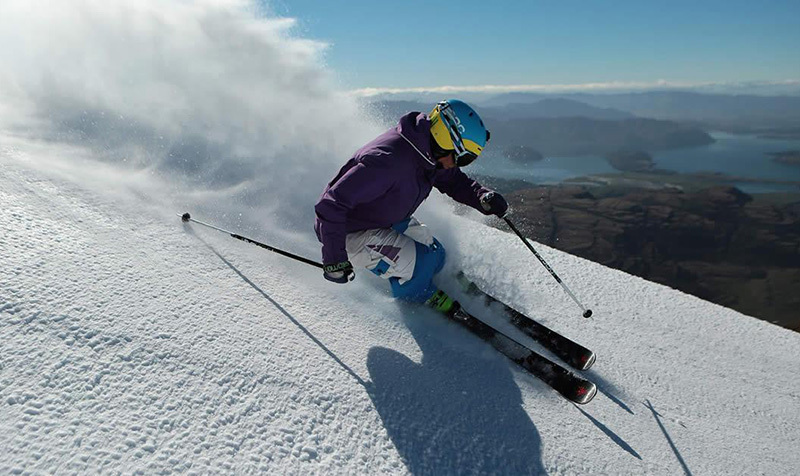 Australia’s top two ski resorts are Perisher and Thredbo. Perisher has a four interconnected ski resorts in the Snowy Mountains and is known as the biggest ski resort in the Southern Hemisphere while Thredbo is a little less family-focused and offers longer runs through the mountains. Whether you’re a Perisher or Thredbo fan, you’re sure to have fun. We can’t mention the Southern Hemisphere and not talk about New Zealand. Treble Cone is the largest ski field on the South Island, straddling four above-tree basins. It offers wide runs and steep trails – it’s no place for beginners. The resort’s popularity is partly due to the snow: its location at the edge of the Southern Alps means that storms passing through are known for dumping plenty of dry powder, perfect to ski on, on their way through. Portillo in Chile offers as much fun on the fields as off. The 35-run ski resort offers skiers everything from beginner to expert, and there are plenty of additional, unmaintained slopes in the area favoured by experts. When the skiing stops, Portillo comes alive with music, drinking and dancing – for those who love to ski and socialise, there is no better place. 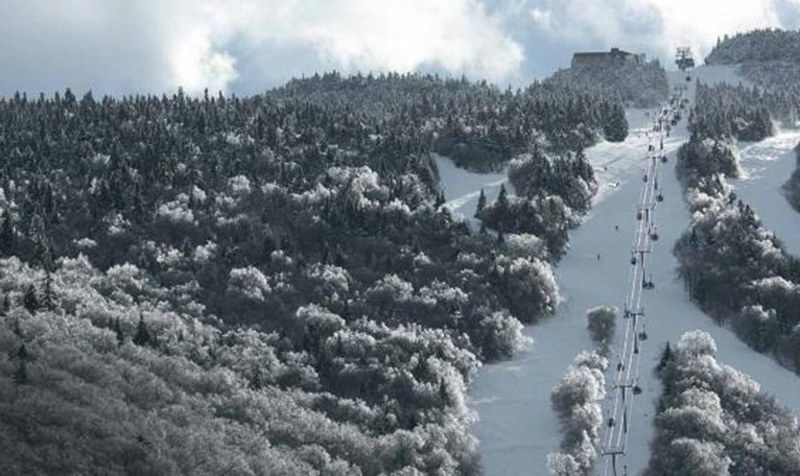 With snow-making guns pumping out enough snow to cover 80 acres with 12 inches of snow, it’s no surprise Killington in Vermont is always one of the first resorts to open at the start of the season. You can head up to the highest peak on the K-1 gondola (the fastest way up) and head down either taking your time or, for those who like a bit of speed, by taking the Cascade run straight below the gondola. Be warned, your legs might turn to jelly by the time you reach the bottom, but, that’s half the fun. For more personalised information tips and advice, or to book these incredible holidays, contact your local TravelManagers’ personal travel manager here.